we are an established dry cleaner changing an industry"
Claims of being green and sustainable is rampant in our society with so many businesses jumping on the bandwagon with products that are questionabe. Many of these products contain chemicals that are harmful to our health and damaging to our environment. 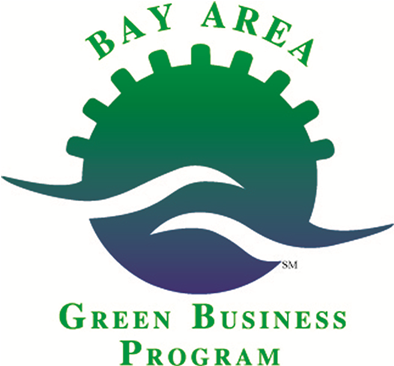 The Bay Area Green Business Program is the only government agency in the San Francisco Bay Area, and The San Francisco Department of Environment is the only government agency within the City and County of San Francisco, that creates, monitors, and regulates businesses. They evaluate each industry and create a green and sustainable criteria for the businesses in that industry. When you use a certified green business you can rest assured that the business is using the safest, most sustainable products and systems available for their industry. For example: In order for a dry cleaner to become green business certified by this program they must eliminate the use of chemical solvents - toxic or not - no chlorine, no petroleum, or no silicone base dry cleaning solvents. The dry cleaner must switch to solely using either water or carbon dioxide as the base for the dry cleaning solution. To become green business certified we must go well beyond recycling and eliminating landfill waste. When you chose a certified green dry cleaner you know your clothes are cleaned with the safest system for your health and the health of our environment. No false claims, No misleading use of words, no if's ands or buts! Specializing in cleaning & storing Wedding Gowns, cleaning & finishing designer garments, evening gowns, tuxedos & high-end fashion wear. Recognized by the Zero Breast Cancer organization as first certified green garment cleaner in San Francisco & Marin County: high quality non-toxic chemically free & environmentally friendly garment care. Serving the communities of San Francisco, Sausalito, Mill Valley, Corte Madera, Larkspure & San Rafael.